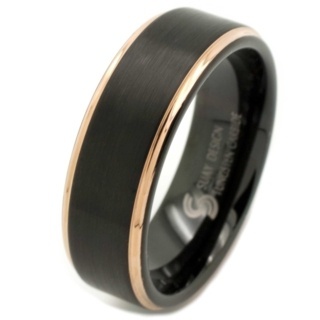 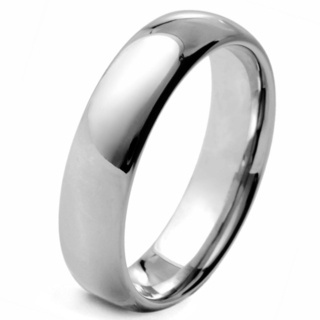 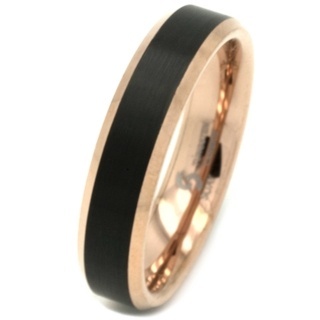 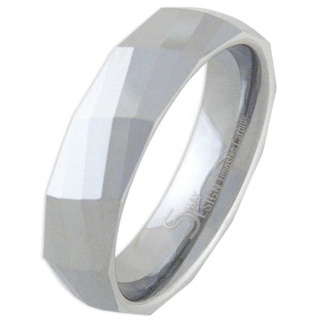 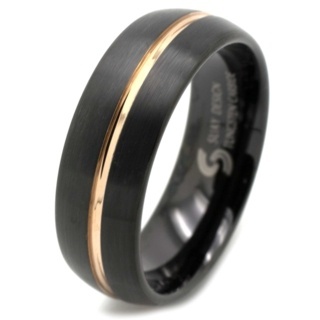 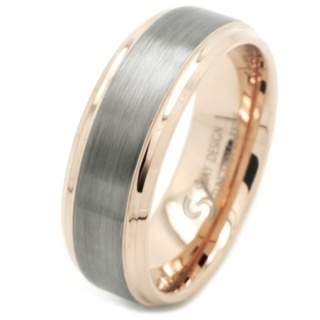 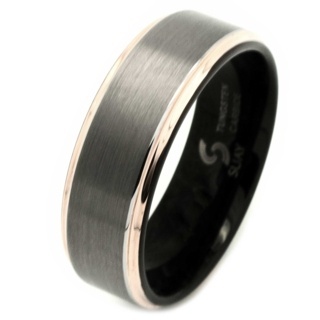 Tungsten Carbide jewellery is the very latest material being used for contemporary men and women's jewellery, it is highly resistant to scratches and scuffs and will hold its mirror-like shine for many years. 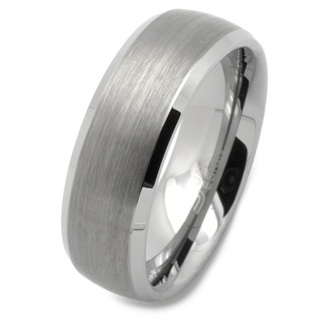 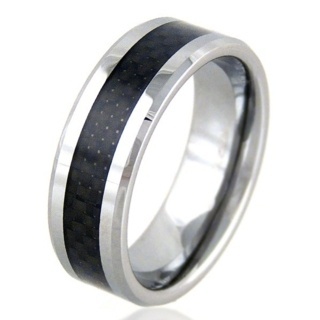 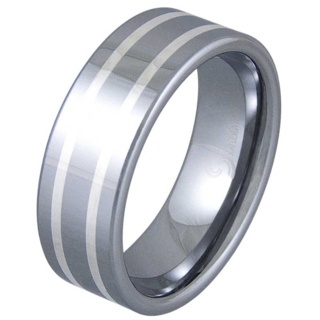 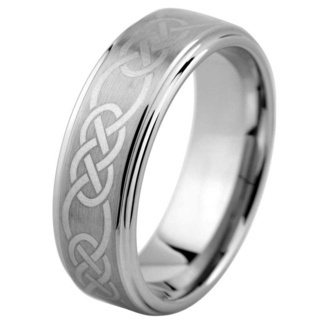 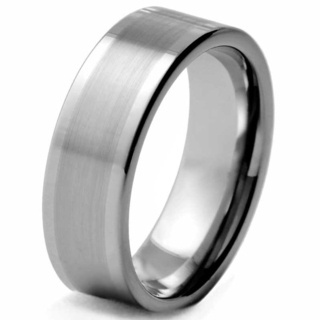 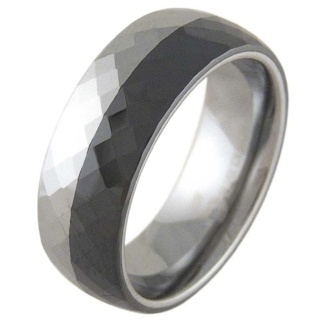 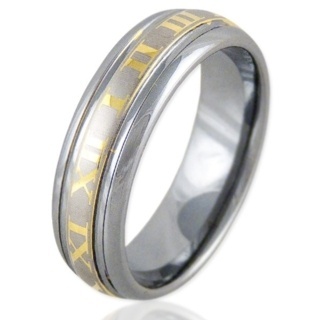 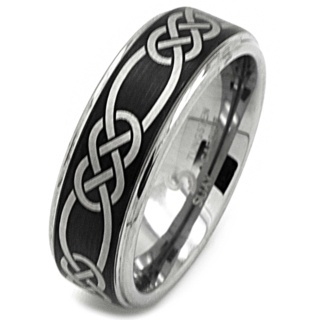 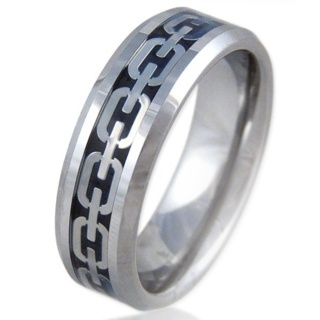 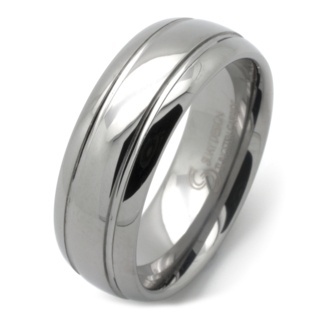 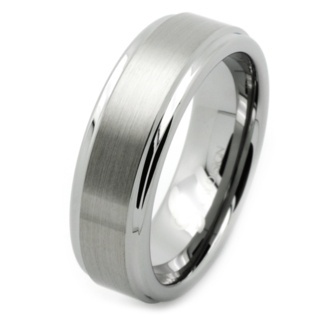 Tungsten Carbide is heavier than Titanium and Stainless Steel, yet many people prefer this comforting 'heavy feel' that it exhibits and its nearly indestructible properties. 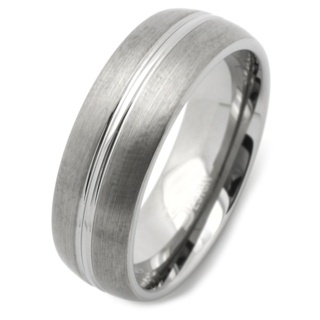 It is also incredibly strong, which is why many men and women are choosing it as an alternative material to make their faithful promises at the altar. 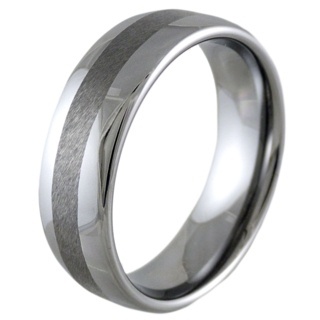 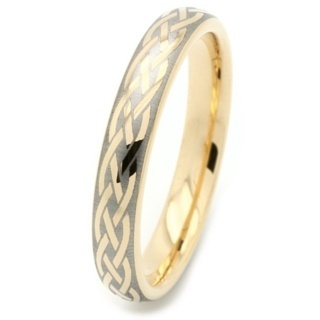 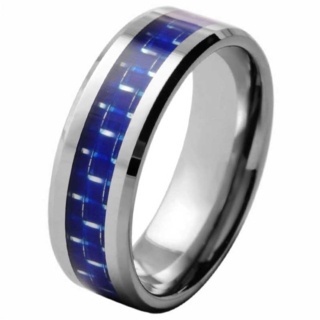 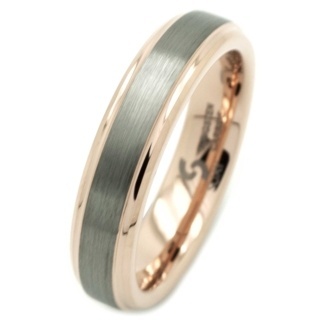 Tungsten Carbide jewellery uses two main processes to bond Tungsten and Carbon, one is the use of cobalt, and the other is nickel. 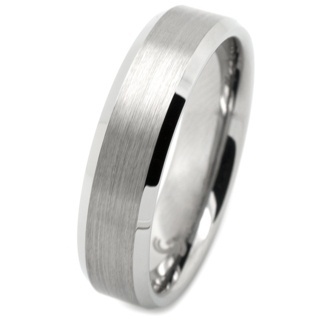 The use of nickel binders is more popular in the production as it keeps Tungsten Carbide jewellery from pitting. 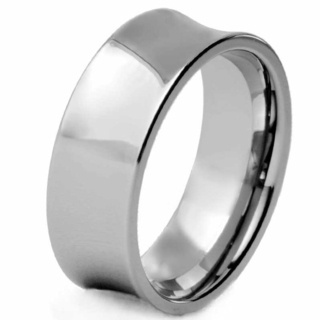 The nickel used in manufacturing of Tungsten Carbide jewellery falls within EU regulated percentages. 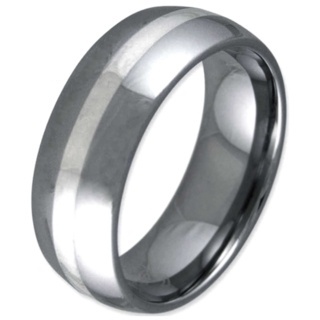 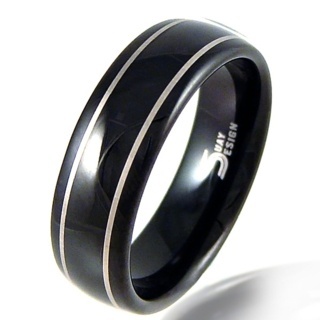 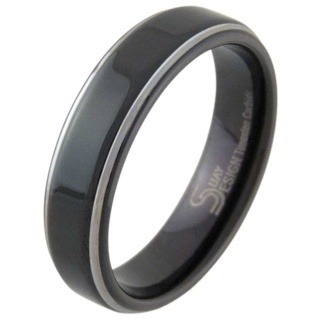 Incredibly easy to maintain and clean, simply rub tungsten with a pencil rubber as it can darken with time. 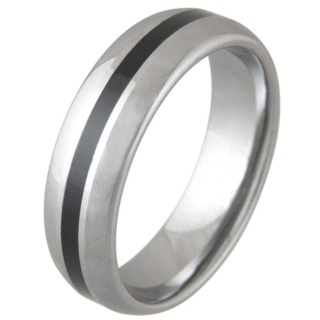 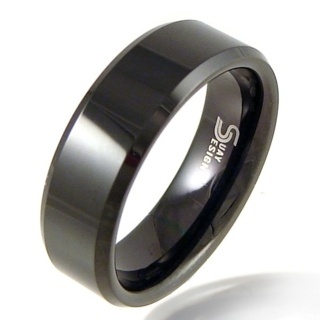 Plated Tungsten Jewellery will unfortunately show scratches as you are removing the layer of plating to expose the Tungsten Carbide below it, we strongly suggest steering away from plated Tungsten Carbide if you are looking for maximum durability. 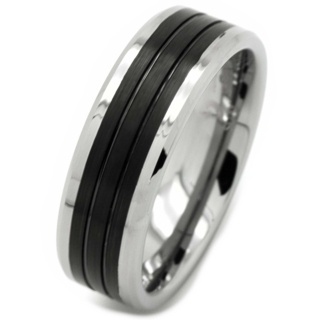 With its tough masculine edge Tungsten Carbide is not just for the boys, with our stunning range of faceted rings its now also leading the way for our ladies accessories collection.